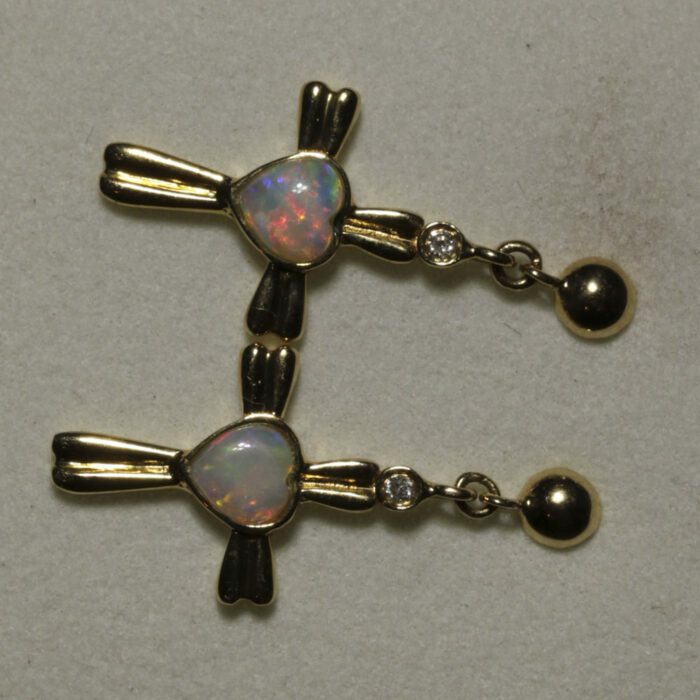 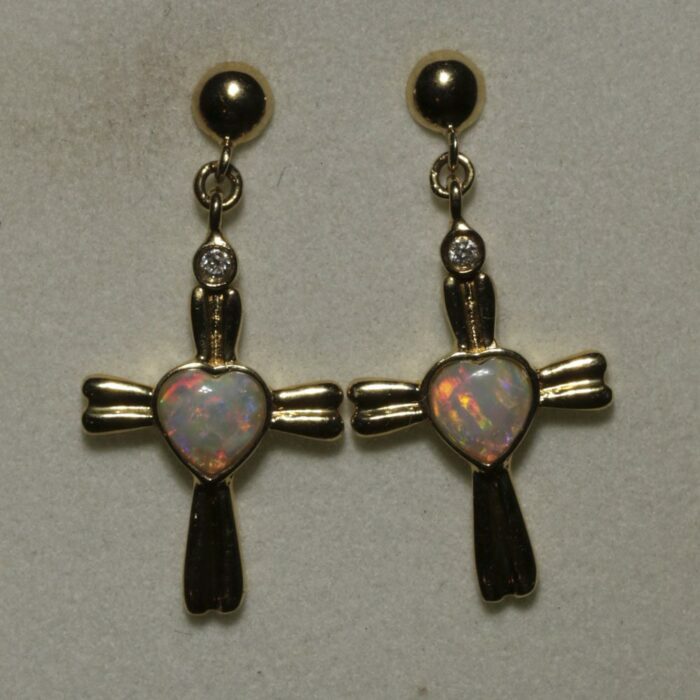 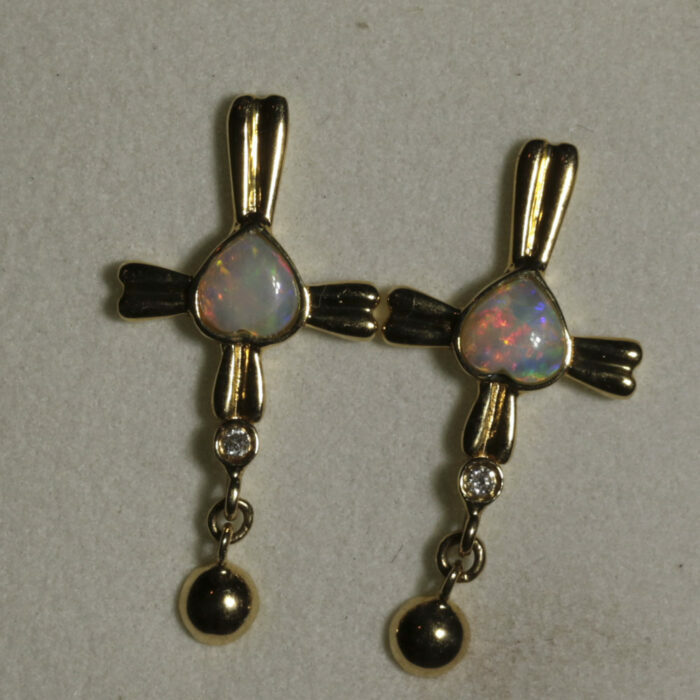 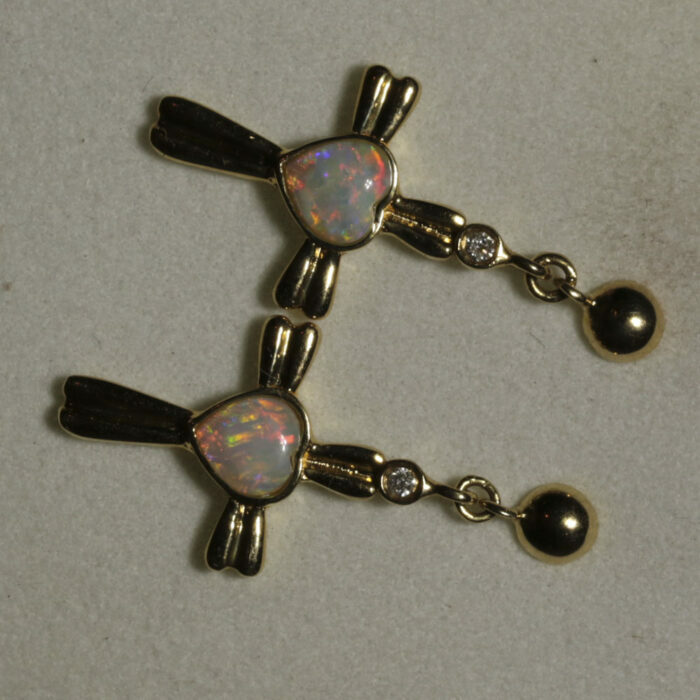 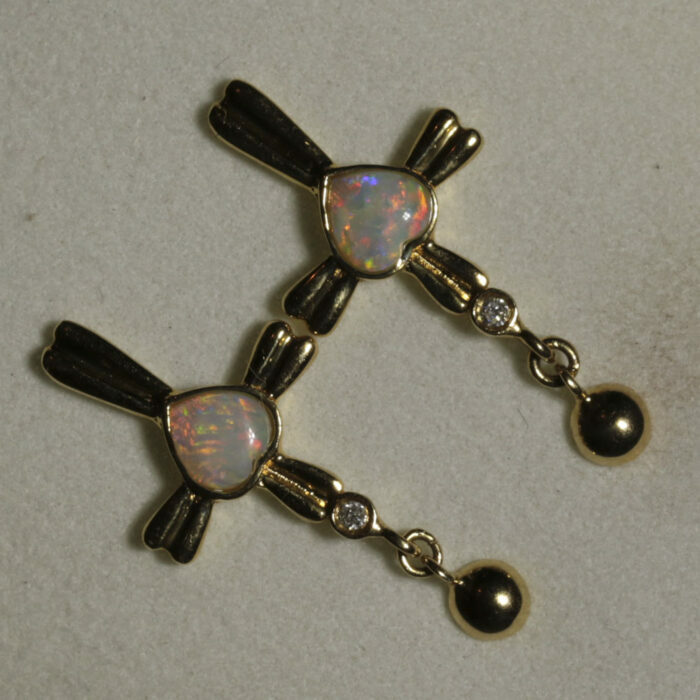 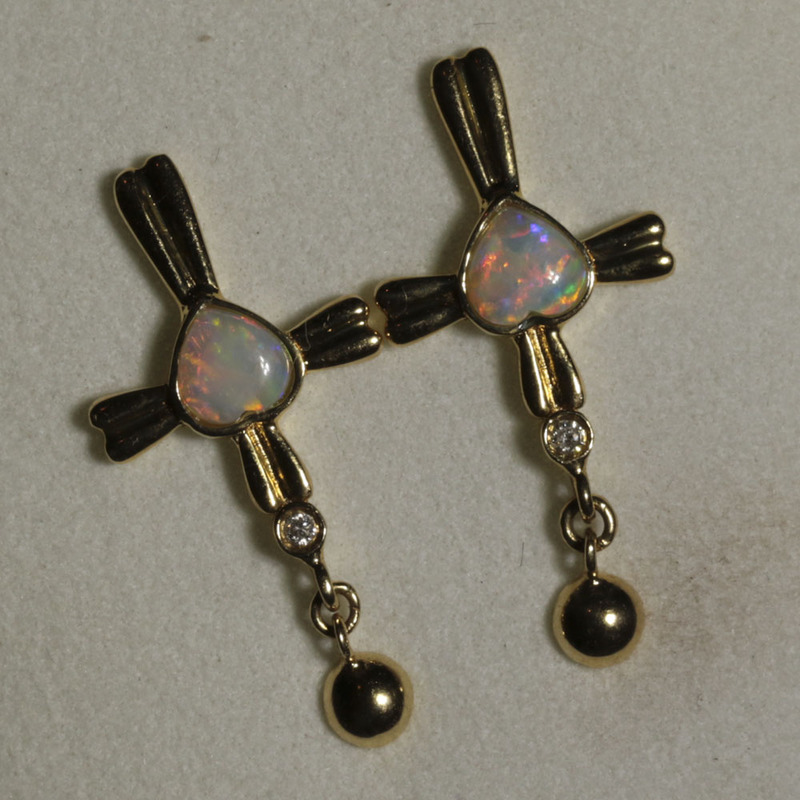 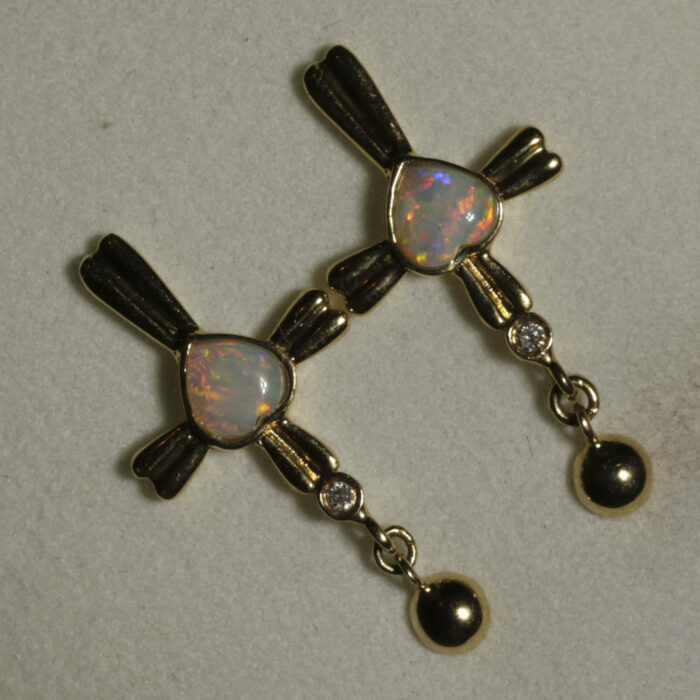 Elegant 18ct solid yellow gold stud earrings featuring a suspended cross with opal. 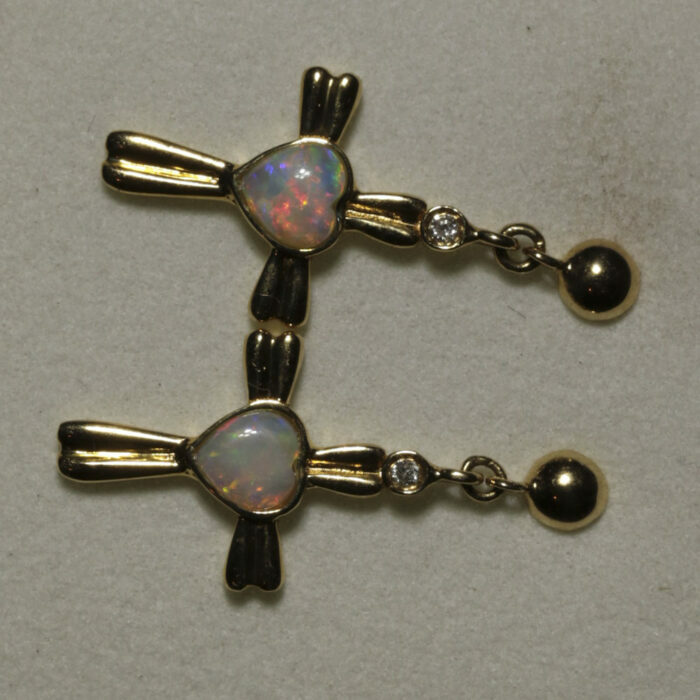 The heart-shaped solid white crystal opals have a lovely soft flash of pale green, blue, and red-orange. A small diamond is set into the top of the cross on each earring.